Music is so ubiquitous that we’re equally as likely to notice its absence as its presence. Outside of scenarios where it serves as the main focal point, it also exists to accompany films, television shows, commercials, and beyond. When not originating from established artists, though, where does this music come from? The Library Music Film looks into the world of production music, and thanks to the folks over at The License Lab, Milwaukee will be the first (yep, the first) city to host a stateside screening of the documentary, Thursday March 28 at No Studios. While it is as broad of a term as “rock” or “pop,” in that it can be a variety of things, the intended purpose of library music was specifically for use in film, television, and radio broadcasting. The License Lab specializes in doing just the same, hence their interest in the film. From the early 1930s and on, production houses like Music De Wolfe, KPM and Bruton Music released volumes of recorded works for non-commercial use, provided to those in need of a low-budget soundtrack or score. While some of these tracks found their way into the mainstream (The Muppet Show’s “Mahna Mahna” and the theme for The People’s Court both originated from library records), plenty of tracks went unused and for the most part, largely unheard outside of minor use in small productions. This all changed with the birth of sample culture, though, when DJs and producers started discovering library records in dusty crates and dollar bins, using the genre’s more jazz and funk-tinged compositions to create new works. What began as creative sample flips on tracks from acts like Handsome Boy Modeling School and Gnarls Barkley slowly grew into a much larger curiosity from music fans worldwide. So what was this music? Compilations and reissues started to appear towards the tail end of the ’90s, and collectors began to seek out these very rare recordings. While the genre is still widely unknown to the general public to this day, exploring it is far easier than it was even a decade ago. Thanks to library music expert and archivist Shawn Lee, the untold history of this unique pocket of music will finally see the light of day with The Library Music Film. The film talks to some of the genre’s most revered composers and arrangers to uncover the stories behind some of library music’s most esteemed tracks and releases, while also talking to record collectors, producers and DJs who hold them in high regard. If you’re into music documentaries about lesser-known underdogs, this one’s for you. But of course, for many of you, library music is still a relative obscurity. Thankfully, Andy Harris (formerly of The Goodnight Loving, Jaill, and Phylums) spent the last few weeks recording a short collection of tunes that were highly influenced by the genre. Released under his Harris P. Andrews moniker, Going Ape—named after the Shawn Lee Ape Breaks series, from which the collection samples—draws on many of the sounds and styles detailed in The Library Music Film. “Medium Chase” lives up to its title, sounding like the opening for a ’70s cop show, while “Outta My Gourd” sounds like a dub remix of a Phylums track that never was. Even “&&&&&”, the collection’s most succinct moment, is a delightfully woozy offering of filtered synths and funky guitars. Going Ape is a wonderful homage to some of the genre’s most beloved works, while also possessing a exotic and tropical quality that will just as easily please fans of acts like The Budos Band and Antibalas. If you’re uncertain where to start with the genre, Going Ape is certainly a very listenable entry point. 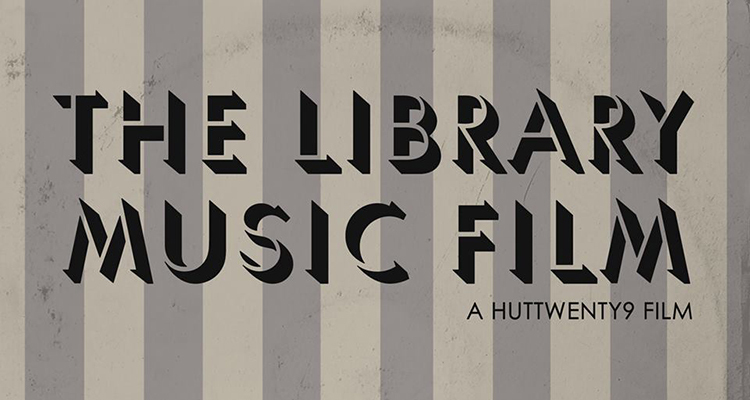 Whether you’ve been waiting on the premiere for months or you’re just now discovering this incredibly niche sector of music, The Library Music Film will prove to be an enjoyable viewing for musicians and music lovers alike. And, as an added bonus, DJ Chris Schulist will be spinning some of the genre’s best tunes following the screening. Thursday night’s Milwaukee premiere is just around the corner, and there are no plans for a repeat screening here anytime soon, so this may be your only chance to catch this one of a kind documentary on the big screen. Don’t miss out.